Who wouldn’t like to be proposed? That is if you actually like who is proposing to you. And if your significant other is putting in extra thought and effort, it would make you feel even more special. That is exactly what happened with this special lady. You see she got proposed by her boyfriend of 5 years and she couldn’t be happier. However that happiness went down the drain when she saw the ring. Now, I get that it’s not a guarantee that the engagement ring would be to everyone’s liking. This one, however, is just plain horrible. 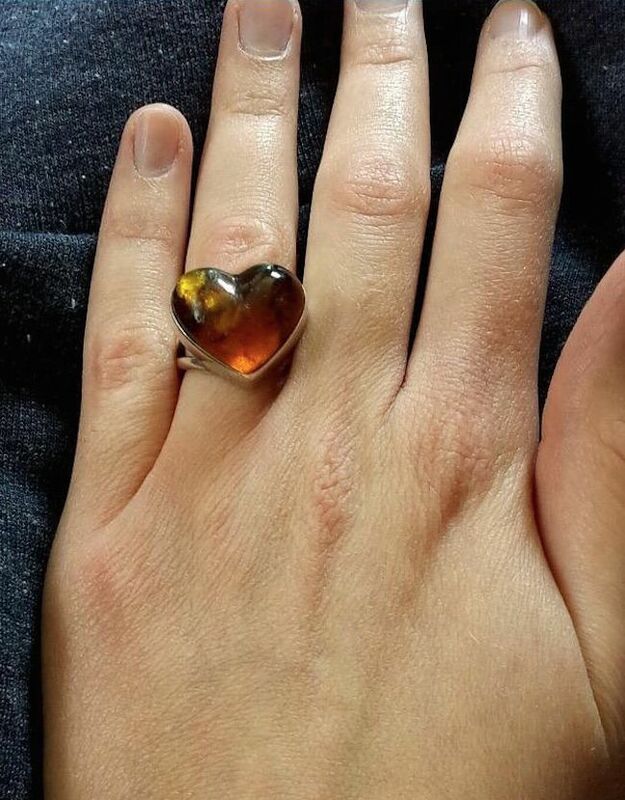 Scroll on below and take a look at this horrendous ring. It all started when one Twitter user posted someone’s story. Even though the story had been deleted, she had already screenshotted it. That does sound pretty romantic, to say the least. Oh wow, That does sound horrible. Why not just tell him the truth? If he loves you, he’ll understand. Okay, I did not expect that. That is truly horrifying. And it seems that people agree with me. every single comment was like "OP sounds like a drama queen EDIT: saw the ring, started crying irl"
I’d rather not imagine it. People also had their own experiences to share. 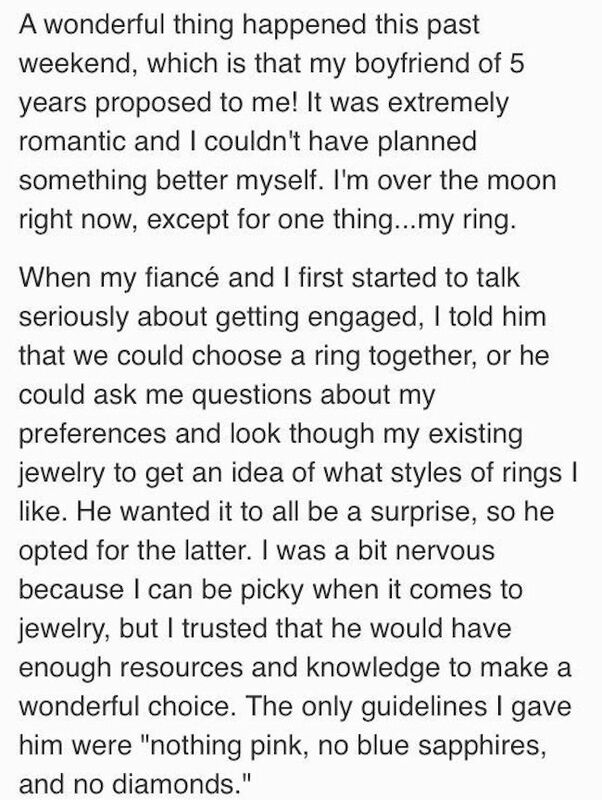 Comment from discussion your_moms_a_clone’s comment from discussion "[Update] I (f26) hate the ring my fiancé (m27) proposed with and I don’t know what to do.". 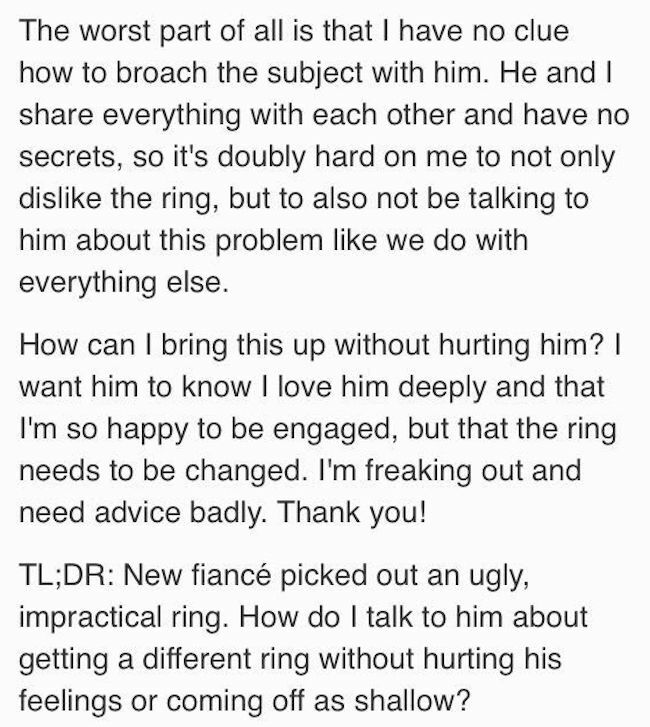 Comment from discussion tasulife’s comment from discussion "[Update] I (f26) hate the ring my fiancé (m27) proposed with and I don’t know what to do.". I don’t even want to imagine what kind of wedding dress he would pick out. 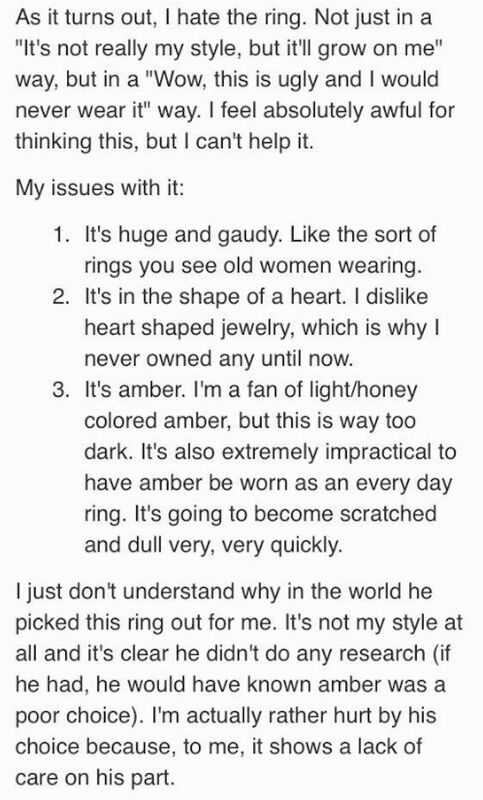 Comment from discussion hollyhooo’s comment from discussion "[Update] I (f26) hate the ring my fiancé (m27) proposed with and I don’t know what to do.". To always trust your gut and be extra conscious when it comes to proposals and weddings. Why don’t you share your own proposal story below?